… for the hens, not me! Five years ago we were chicken newbies, with no experience. Of course, what you do in these circumstances is search the interweb and learn as much as you can, before launching in, thinking you know what you are doing when, in fact, you are completely unprepared. At that time, I understood from my research that, if I just wanted a few hens, a hen house with integral run would be ideal… we would be able to keep the chickens in it all the time and move it around the garden to wherever we wanted, allowing us to use the chickens to clear raised beds, mow the lawn and generally keep the pests under control. So, I shopped around and found a coop that was suitable for three or four hens and came complete with a feeder and water dispenser. The coop arrived and Mr Snail assembled it with minimal swearing – result. We went off and bought three point-of-lay hens and inserted them into the coop along with the drinker and the feeder. Once all these things were in the outdoor part of the run, there was very little space for poultry manoeuvre, but the hens seemed ok. It soon became clear, however, that there were issues with our chosen coop. First, the space in it did not allow our hens (supposedly happy outdoor birds) to run around, stretch their wings or even scratch about very much. Second, whilst in theory the coop is portable, it actually turned out to be really difficult to move about – one end is heavy (where the nest boxes are), whilst the other is light and getting a secure grip on it is difficult. In addition, you can’t move it with the hens inside, unless you shut them in the house… and anyway the ramp into the house kept getting in the way and finally became detached and we had to use hooks to attach it so that it could be removed when we were moving the coop. And then. in the second year, we started to get red mites and had to use insecticide. Even when we thought we’d solved the problem, they kept coming back. After some investigation, we discovered that the roof had a cavity in it that provided an ideal mite refuge. We removed the original roof and replaced it with the aforementioned old bath panel – unsightly, but blessedly mite-free. Eventually, we decided to leave the door to the run permanently open and we started to use poles and garden netting to fashion a much bigger run for when we need confined hens… much of the time, however, they are free to roam about as the garden is generally chicken-proof (well, most of the time). Finally, the newly constructed pallet-gate means they can enjoy one half of the garden and the vegetables can remain safe in the other. And so, we have continued to make the best of a bad coop. But now, laying has declined and we may have to increase our flock size a bit, so the original house is not big enough and a replacement may be in order. Thus, I have been researching eco-friendly hen houses that will not harbour mites, will have a long life, do not have a built in run, but do have to possibility of attaching a run (so we can safely leave the hens to their own devices overnight) and will house up to six girls. And the answer, it turns out, is recycled agricultural plastic. It’s not cheap, but it ticks all the boxes, plus it’s made from a waste product. And that’s what I’ve ordered – it’s from a firm that specialises in making animal housing and it is being made to order. It won’t rot, it will be easy to keep clean and pest-free and it comes ready-built, so Mr Snail won’t be forced into any sort of diy activities. It’s going to take up to a couple of weeks to arrive, but I’m hoping it will be the last hen house I ever have to buy. Another tip for cutting down the mite population is to plant an artemisia bush on either side of the hen’s exit from the house, fairly close, so they have to brush past it. It’s a natural insecticide and will help to keep them mite free. If that isn’t practical, then strewing some artemisia branches in the bottom of the nesting area can help too, but doesn’t protect the hens themselves so well. I can’t believe they claimed three or four hens would be happy in a run that size! I’ve never heard the artemisa suggestion before… must try to get a couple. What surprises me is that I was so naive and gullible about the hen house… common sense should have told me it would not be appropriate, but I was seduced by the marketing. Ah well, they have about a third of the garden now! They seem to be everywhere on the net, but I really don’t think they are much good. I have read that your chooks should be able to run… if they can’t do this, they don’t have enough space. But what I notice is that they are only really happy when they can wander about and get away from each other – a big run is fine, but not one of these tiny things. I don’t know who’s going to be most pleased that there’s no DIY this time, you or Mr SoH. One thing that is for sure is that the chooks will be grateful for the new company, and the extra space. Strange that a recycled product should prove to be not cheap. 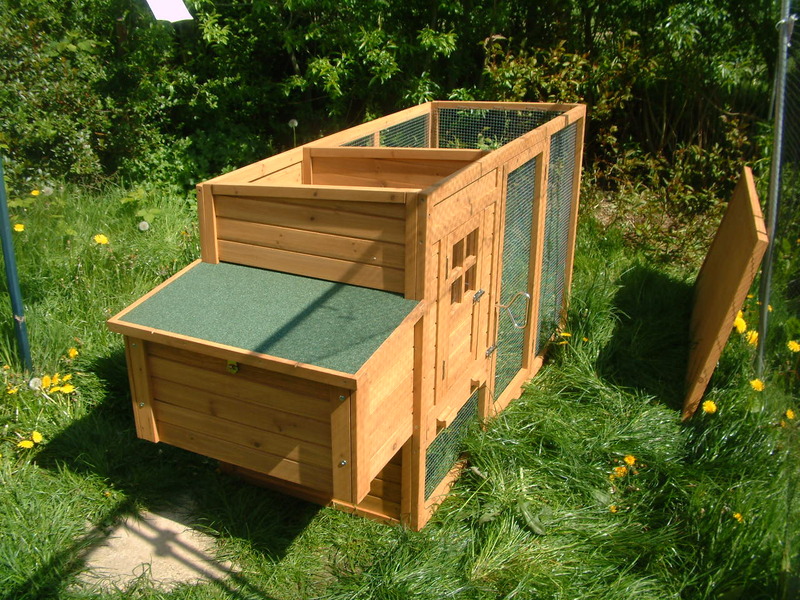 Strangely I could have got a much cheaper hen house in wood… but I’m happy with my choice and fortunate enough to be able to afford it. Yours look like they are about to move in with you! I had to google what a quoll was… they look quite cute if they’re not eating your chooks. No DIY?!? Oh, I am bereft – not! Nice to think that the chooks will have recycled living quarters! I knew you’d be devastated!